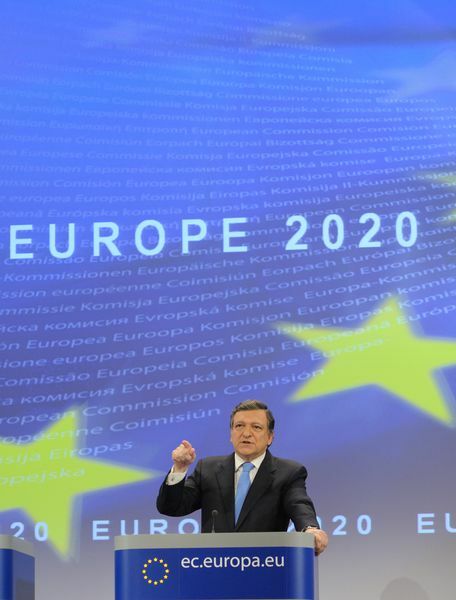 Reserved support for "Europe 2020"
Who is where before Europe 2020? "We need to build a new economic model based on knowledge, low-carbon economy and high employment levels. This battle requires mobilisation of all actors across Europe. No Member State can address global challenges effectively by acting in isolation. We are stronger when we work together, and a successful exit therefore depends on close economic policy coordination". 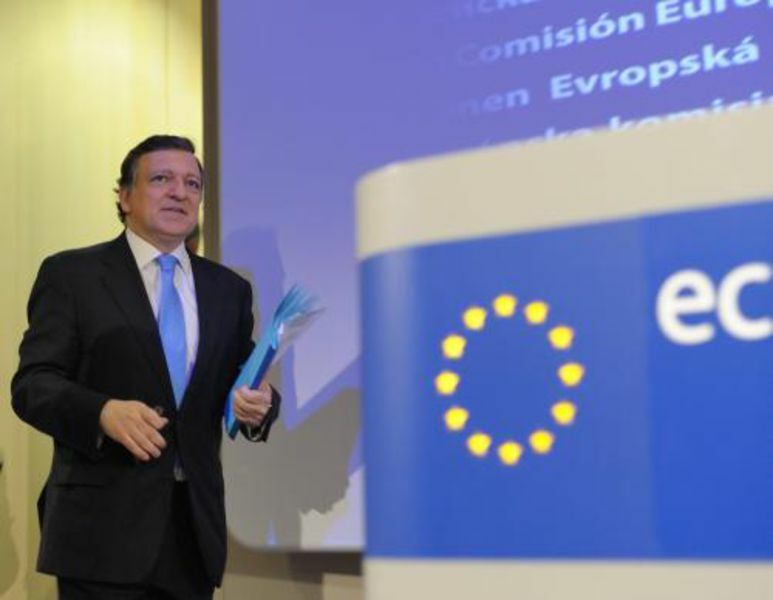 Barroso noted that the economic crisis had convinced even the most skeptic member states that the Union needed more coordination in economy. Now we are more bound and we need more economic coordination - more than ever, the president underlined. He forecast that if implemented, the strategy would bring a 2 per cent growth but he played safe by saying that the crisis made it difficult to forecast. As a programme document which is entitled to bring Europe out of the crisis and to show the direction of development after it, the key word is growth. Growth, based on knowledge, sustainability and inclusion. Smart growth means boosting education, innovation and digital society. For the purposes of sustainable growth, the development of more energy effective and competitive economy needs to be stimulated. Inclusion means achieving growth by everyone, by increasing participation in the labour market, by focusing on qualification and fighting poverty. "Innovation Union" means focusing on science and research and innovation to fill the gap between science and business, and to help turn inventions into products. "Youth on the move" is called the idea, by stimulating students' and young professionals' mobility, to increase quality and international attractiveness of the European university education. Special attention is paid to the digital society and the common digital market. 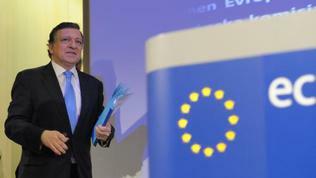 The Commission is planning all Europeans to have access to the broad band Internet by 2013. Another initiative is transition to energy effective and low-carbon economy, aiming by 2020 EU's spending on import of oil and gas to drop by 60 bn euro. "An industrial policy for the globalisation era" is an initiative, directed to stimulate entrepreneurship and development of new skills. The Commission is planning modernisation of labour markets as well, aiming at increasing employment and ensuring stability of the European social models. "The European platform against poverty" is focused on economic, social and territorial cohesion with the purpose to help poor and socially isolated people to get active role in society. To achieve these ambitious goals of the strategy, leadership and responsibility should be raised at a higher level, the Commission says. And calls on heads of state and government to support the document at their spring European Council. The Commission has committed itself to improve the methods of government to guarantee that all commitments will turn into concrete actions (something, which has not happened with the Lisbon Strategy, according to many people). The European Commission will oversee the implementation of the Strategy in parallel with the Stability and Growth Pact to ensure coordination. This will allow both strategies to follow similar goals without duplication and in the same time using their instruments. The Commission will assess member states' progress in achieving their national targets in annual reports which will be discussed by the leaders of the Union at their spring Councils. The Strategy is keeping the Council's leading role to "direct the energy" because, according to the Commission, there, the interdependence between member states, is better managed. The executive body of the Union, on its part, will make specific recommendations to member states and will issue warnings when the national targets are not being met. The first comments on the new strategy by some of the political forces in the European Parliament were contradictory. The liberals and the democrats think that Europe 2020 is both "ambitious and realistic" but "toothless" to ensure its implementation on a national level. According to the Greens, the document is a "short-sighted attempt" for a new 10-year vision, and also - putting growth as a basis for economic development is a "recipe for another failure". The Socialists criticised the strategy as being not sufficiently green, not sufficiently social and not sufficiently ambitious. 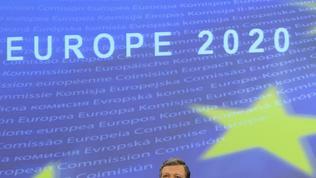 The first debate on Europe 2020 at the highest level will be at the spring European Council in the end of March. It is expected the document to be fully adopted in June.